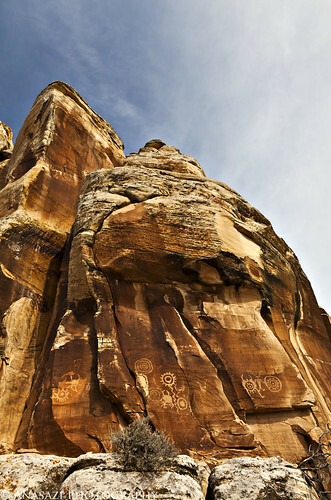 Looking up at a few smaller petroglyph panels on the McConkie Ranch located near Vernal, Utah. One of my friends said the circular shield-like figures visible in this photo reminded him of gears, which is where the name for this photo came from. These are only a couple of the many petroglyph panels you can find on the trail to the Three Kings Panel.